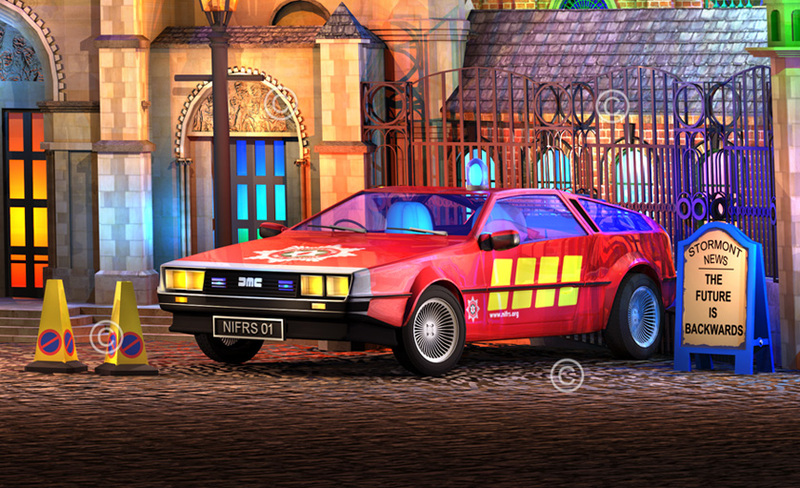 This artwork is based on an 'Up The Farset' artwork but features a DeLorean vehicle in place of the van in the regular artwork. There are only 40 prints in the 40 inch version and 32 in the 32 inch version. 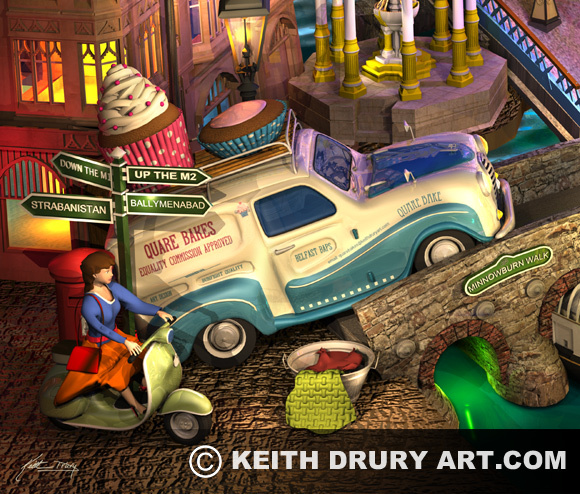 The placement of a passenger vehicle is an unusual appearance in one of Keith's artworks which traditionally only feature vans. The sign beside the DeLorean has also been changed. This artwork costs an additional £45 to a standard 'Up the Farset' price. 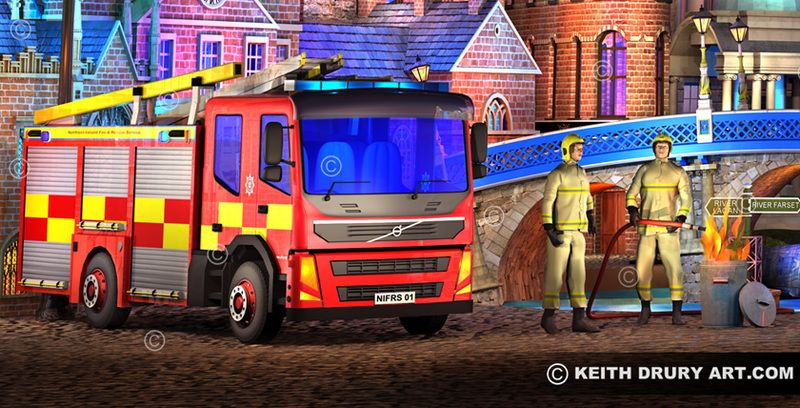 This artwork is based on an artwork released a few years ago called Quare Bake on 'Er. The artwork is now sold out out and only a few remaining editions exist in this variation. 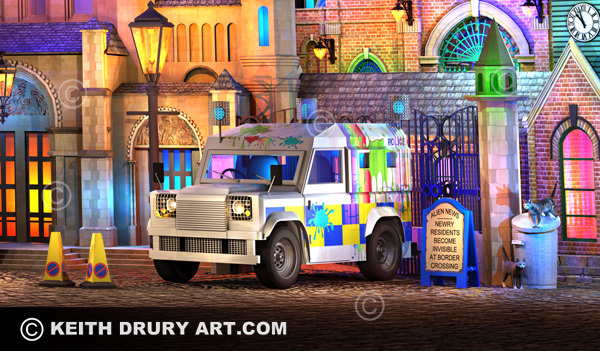 This artwork has a green van rather than a red van as was in the print series. There are only 19 in this edition and there will be no further editions of this artwork. The artwork is 22x22 inches in size.